Fall for the electrifying power of Andrew Lloyd Webber and Tim Rice's divine rock opera! 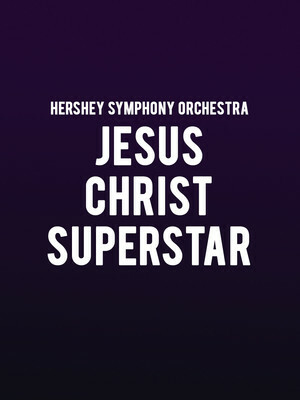 Why See Hershey Symphony Orchestra - Jesus Christ Superstar? Get ready to be wowed by the zinging power of Andrew Lloyd Webber and Tim Rice's iconic rock opera this Easter when the Hershey Symphony Orchestra presents Jesus Christ Superstar - in a full concert performance! Rocking for nearly half a century, the passion and blend of styles have seen the show become a classic as it imagines the last days of Jesus's life in vivid color. Including songs such as titular 'Superstar', 'I Don't Know How To Love Him','King Herod's Song', and more, don't miss this divine opportunity to experience the magic live. 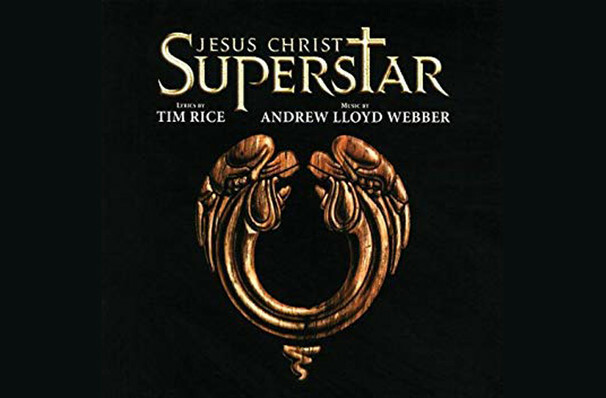 First seen in1970 as a concept album by the iconic musical theatre duo, Jesus Christ Superstar is based loosely on the Gospels and tells the story of Jesus's life until the crucifixion. Taking inspiration from the music charts of the time, the show uses elements of rock, opera, vaudeville, folk, and blues among others to represent the struggles of Jesus and those around him. Initially banned at the time by many broadcasters, including the BBC, it has since flourished and in 2018 became one of the highest rated live musicals from NBC when it debuted on April 1 with John Legend as Jesus. Sound good to you? Share this page on social media and let your friends know about Hershey Symphony Orchestra - Jesus Christ Superstar at Hershey Theatre.